The cornerstone of the ELC’s best-practices model is the curriculum, which is designed to support the positive growth and development of children. It ensures that there is strong emotional security for each child using play and that our children’s curiosity is the foundation that supports their cognitive, language, social, physical and emotional skill development. Each classroom has one teacher and one assistant teacher, as well as UD students serving clinical placements or volunteering. Our qualified teachers and teacher assistants have education and childcare backgrounds and are dedicated to making a positive lasting impact on the children of Newark, Wilmington, and surrounding communities. The low staff:child ratios at our centers guarantee that each child receives an individualized curriculum and is consistently provided with a rich learning environment. University students and researchers choose our centers to complete research in order to learn and expand the practice of early childhood education. Located on UD’s Children’s Campus, the ELC Newark is where lifelong learning begins — and continues for students of all ages. The infant and toddler wing is where first words and first steps turn into first sentences and first strides from ages 6wks – 3 yrs with highly individualized curriculum for optimal development. 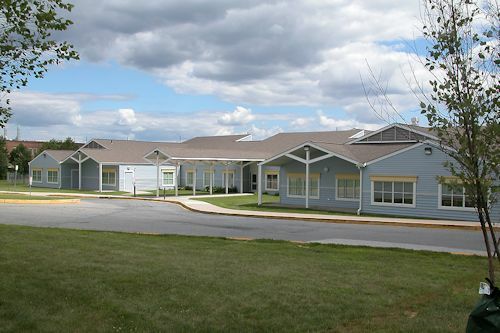 Located in South Wilmington and housed in the spacious Neighborhood House Building, the ELC Wilmington provides a pleasant atmosphere for the children and families who make up our close-knit community. Provides children with opportunities for modeling and learning from peers. The children in this room stay together for 3 years which allows for consistency of peers and teachers throughout early learning.